One of the main objectives of NSNA is to prepare students to play active and vial roles in the nursing profession. NSNA socializes students into the world of professional organizations and provides opportunities to gain invaluable skills and experiences that enhance professional development. ​NSNA strives to build and strengthen the bridge between education and practice. NSNA members are informed about professional organizations and encouraged to learn about them - even as students. ​Through a partnership program, NSNA members may join selected specialty nursing organizations at a reduced rate available only to NSNA members. Click below to join the nursing organization. The mission of the Academy of Neonatal Nursing (ANN) is to provide high quality education for health care professionals working across all levels of neonatal care to improve outcomes for newborns and their families. ANN achieves this mission through professional, peer-reviewed publications, national conferences, online resources, and other educational offerings in order to advance the knowledge of its members in providing superior patient care. ​As a professional nursing organization our dedication to your education is absolute. Using techniques that provide cost-effective learning modalities, the Academy strives to make your membership dollars stretch as far as possible. NSNA members can join the Academy at a special rate of $50. Join today and become part of the 7,000 neonatal nurses who trust the Academy of Neonatal Nursing to deliver the latest in neonatal research and evidence based clinical care. ​To become a part of the AAMN community, please click below and follow the simple steps. You can also print a membership application from the website and mail it in. NSNA nursing student members will also receive a discounted membership to AAMN. The American Association of Neuroscience Nurses (AANN), a professional association of more than 5,400 members worldwide, is committed to working for the highest standard of care for neuroscience patients by advancing the science and practice of neuroscience nursing. AANN's membership represents nurses and health care professionals working in diverse areas of neuroscience patient care such as multispecialty and neuroscience intensive care units, general neuroscience units, rehabilitation units, medical-surgical units, pediatric units, emergency and trauma departments, surgery, and more. AANN is the leading authority in neuroscience nursing. NSNA student members get access to benefits designed to help you advance both personally and professional. Access some of the most robust neuroscience nursing events and educational programming when you join AANN. Take advantage of exclusive member pricing on our conferences such as the AANN Annual Educational Meeting and the AANN Advances in Stroke Care Conference as well as special discounts on our educational products sold in the online store. You also can earn free continuing education (CE) credits through The Journal of Neuroscience Nursing and the Clinical Practice Guidelines, in addition to a range of other CE opportunities through our other products. As an AANN member, you receive a free print and online subscription to The Journal of Neuroscience Nursing, our renowned bimonthly peer-reviewed journal addressing relevant neuroscience nursing topics and issues. On top of that, enjoy free access to AANN's Clinical Practice Guidelines series as a tool for delivering optimal quality-focused patient care. We also will keep you in the loop via email each week with AANN Neuroscience News, which includes association updates and a roundup of news briefs about the latest in neuroscience nursing. AANN's certification arm, the American Board of Neuroscience Nursing (ABNN), oversees administration of the Certified Neuroscience Registered Nurse (CNRN) and Stroke Certified Registered Nurse (SCRN) credentials. When you become an AANN member, you receive special discounts on certification exam fees, recertification costs, and CNRN and SCRN exam prep materials available in our online store. From special focus groups (SFGs) and local chapters to volunteer opportunities in AANN committees or task forces, your membership immerses you in a passionate community of neuroscience nursing professionals. In an effort to expand your networking opportunities and access to programs and events, your AANN membership includes a membership in the World Federation of Neuroscience Nursing (WFNN). Your AANN membership also includes a free digital membership to the American Nurses Association, which allows you to take advantage of even more exclusive discounts on products, events, and publications. ​NSNA members can join AANN at the discounted rate of $67 per year. Join online today! Email info@aann.org for more information or visit our website at www.AANN.org/join. The American Nephrology Nurses Association (ANNA), the professional association for nurses who take care of patients with kidney disease, is committed to educating, supporting, and inspiring all nurses practicing in nephrology. As a member of ANNA, you receive unparalleled access to a growing network of nephrology nurses. ​NSNA members are invited to join ANNA for a special discounted rate of only $10 per year. To learn more please click below. ANA applauds nursing students for making a commitment to the most ethical profession. ANA is the go-to resource for trusted information within the nursing profession. We recognize that nursing students are not only the nurses of tomorrow, you are ANA members of tomorrow! Be sure to take advantage of these tailored student benefits now! The American Organization of Nurse Executives (AONE) is the national professional membership organization for current and emerging nursing leaders. With more than 9,700 members, AONE is the voice of nursing leadership in health care. Since 1967, the organization has provided leadership, professional development, advocacy and research to advance nursing practice and patient care, promote nursing leadership excellence, and shape public policy for health care. AONE members have access to information, tools, research and mentorship to address the changes and challenges facing nursing leaders. ​Current NSNA members can join AONE at the discounted rate of $95 ($135 savings). Email aone@aha.org for additional information or visit the AONE website at www.aone.org. AONE is a subsidiary of the American Hospital Association (AHA). The American Society of Professionals in Patient Safety (ASPPS) at the Institute for Healthcare Improvement​/National Patient Safety Foundation is the first and only individual membership program for the patient safety field and was established to build an engaged, focused community of individuals committed to accelerating the delivery of safe patient care. ASPPS entitles members to special discounts on programs offered by IHI/NPSF, as well as partner discounted education tools and resources to help support its members' patient safety career. NSNA members can now join ASPPS at a discounted rate of $50. That's over 30% off the regular student/faculty rate. Simply visit www.aspps.org and enter the code NSNA50 when signing up for an ASPPS 1-Year student membership. The American Travel Health Nurses Association (ATHNA) is the only organization in North America that supports the professional development of travel health nursing. Travel health nurses provide pre and post travel health services to individuals, families and groups who travel internationally for a multitude of reasons including tourism, business, education, mission work, and family visits. Travel health nurses at all professional levels work in hospitals, corporations, college health units, and public health centers here and abroad. Some travel health nurse practitioners also start their own private practices. Founded in 2004, ATHNA is eager to introduce NSNA members to our exciting and growing nursing specialty and to offer you complimentary membership with additional special benefits. Please go to our website www.athna.org to learn more- and to join! 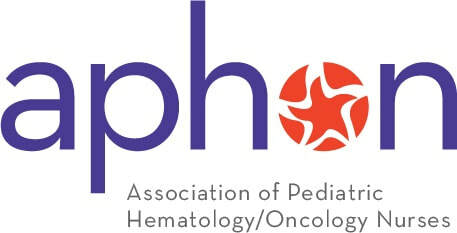 The Association of Pediatric Hematology/Oncology Nurses (APHON) is the professional organization for pediatric hematology/oncology nurses and other pediatric hematology/oncology healthcare professionals. Its members are dedicated to promoting optimal nursing care for children, adolescents, and young adults with cancer and blood disorders, and their families. ​APHON provides the leadership and expertise to pediatric hematology/oncology nurses by defining and promoting the highest standards of practice and care to the pediatric, adolescent, and young adult communities. APHON is a proud partner of the National Student Nurses' Association and offers undergraduate nursing students membership for a special reduced rate of $25. NSNA student members receive a subscription to APHON Counts membership newsletter, members-only discounts in the APHON bookstore and meeting registration, and my serve on volunteer task forces and committees. Click below to download an application today! The Association of PeriOpeative Registered Nurses (AORN) is the national association committed to improving patient safety in the surgical setting. AORN is the premier resource for perioperative nurses, advancing the profession and the professional with valuable guidance as well as networking and resource-sharing opportunities. AORN promotes safe patient care and is recognized as an authority for safe operating room practices and a definitive source for information and guiding principles that support day-to-day perioperative nursing practice. The Association of Rehabilitation Nurses (ARN) has more than 5,000 professional RNs who are devoted to the advancement and promotion of rehabilitation nursing in a variety of practice settings – acute care, inpatient and outpatient rehabilitation units, long-term care hospitals, skilled nursing facilities, home health agencies, and academia. ARN’s vision is “to transform health care by integrating rehabilitation nursing concepts into care for all people.” The organization has created and evolved a certification designating expertise in this area. Currently, more than 13,000 RNs hold the Certified Rehabilitation Registered Nurse (CRRN®) certification. ARN focuses on the issues having to do with rehab patients themselves, their family members and support systems, as well as all rehabilitation care providers. We support all efforts to ensure people with physical disabilities and chronic illness have access to comprehensive, quality care in whichever care setting is most appropriate for them. The organization strives to set rehab nursing standards by collaborating with other nursing organizations and rehabilitation healthcare providers to accomplish its goals. Click below to join ARN at a special cost to NSNA members of just $45! You can find further details on ARN membership and benefits at www.rehabnurse.org! The Association of Women's Health, Obstetric and Neonatal Nurses (AWHONN) is a nonprofit membership organization that promotes the health of women and newborns. Our mission is to improve and promote the health of women and newborns and to strengthen the nursing profession through the delivery of superior advocacy, research, education and other professional and clinical resources to nurses and other health care professionals. Enjoy all the benefits of full membership at a fraction of the cost! NSNA members pay only $60 for student membership, a savings of $36. Payment must be made in full at the time of joining. Use code NSNA2017 to receive your discount. ​Learn more about AWHONN and join today! The Council for the Advancement of Nursing Science (CANS) was established in 2000 as the open membership entity of the American Academy of Nursing. The mission is simple: Better Health Through Nursing Science. Every day, the Council and its members work to be a strong voice of nurse scientists at the national and international levels; support the development, conduct and utilization of nursing science; and facilitate life-long learning opportunities for nurse scientists. ​NSNA student members will receive all benefits of CANS Membership, including a subscription to Nursing Outlook, reduced conference rates, access to seed grants, and much more, at a reduced membership rate of $23/year. ​For more information or to join, click below. The Dermatology Nurses' Association (DNA) is a professional nursing organization comprised of a diverse group of individuals committed to quality care through sharing knowledge and expertise. The core purpose of the DNA is to promote excellence in dermatologic care. Members include nurse practitioners, registered nurses, licensed practical and vocational nurses, medical assistants, students and others associated with dermatology nursing, who work in a variety of settings including clinics, academic institutions, private practice, public health centers, and government facilities. ​DNA offers education and training in fundamental and cutting-edge dermatology care and treatment through its annual convention, dermatology nurse certification review course and expert workshops. Student members receive many DNA benefits electronically, such as bi-monthly newsletter online, a weekly e-newsletter, and monthly email member updates. Student members will also receive special registration rates to all DNA events. Members of the DNA's Nurse Practitioner Society are offered tools, resources and education focused on the needs of the advanced nurse practitioner. The DNA Focus Newsletter and official journal, the Journal of the Dermatology Nurses' Association, extend the DNA's informational and educational presence with association and practice news, learner-paced continuing education and timely resources. To learn more about the DNA or to join, click below. Founded in 1970, the Emergency Nurses Association (ENA) is the nation's only professional association dedicated solely to the advancement of emergency nursing. Discover a wealth of opportunities for personal and professional advancement as a member of the Emergency Nurses Association. ​ENA membership gives you access to the knowledge, experience, and views of health care professionals throughout the nation. You will be able to advance your career by building your exposure and visibility to decision-makers. Your knowledge and skills will be enhanced by taking advantage of the latest clinical, research and education programs designed with a focus on emergency care. As an NSNA member, you are eligible to receive a generous 60% membership discount. Apply for an ENA membership today! The International Society of Plastic and Aesthetic Nurses (ISPAN) was incorporated as a nonprofit organization in 1975. Plastic surgical and aesthetic nursing is a diverse multidisciplinary field that encompasses various practice settings and educational backgrounds including pediatric reconstruction, skin care, burns, adult reconstruction, craniofacial, operating room, post anesthesia care, office settings, management, nurse injectors, independent practitioners, advanced practice nursing, and nurse educators. ​ISPAN will help you enhance your practice by providing information on current trends , quality education, and networking opportunities. ISPAN encourages members to take full advantage of the many benefits membership has to offer and is pleased to offer NSNA members a reduced rate for membership. Join today and take the next step in your professional development. The National Association of Neonatal Nurses (NANN) is the longest established professional voice that supports neonatal nurses through excellence in practice, education, research and professional development. ​NANN is the only non-profit neonatal nursing organization that exists solely to support the professional needs of neonatal nurses throughout their careers. NANN is your professional connection to the strongest and most vibrant community of neonatal nurses. These connections will prove vital as you progress in your career. NSNA members will receive a special NANN student membership rate of $45. Join NANN today! The Oncology Nursing Society (ONS), the largest professional oncology association in the world, is composed of more than 39,000 registered nurses and other healthcare providers dedicated to excellence in patient care, education, research and administration in oncology nursing. The Society offers useful information and opportunities for nurses at all levels, in all practice settings, and in all subspecialties. The ONS Career Center will allow you to view the latest job openings, post your resume, and maintain a profile with active job alerts, for free. You will also receive the Oncology Nursing CareerWire, a monthly e-newsletter delivered to your inbox, that provides oncology nursing employment and industry updates from across the country. ONS is extending complimentary annual membership, and free access to our Cancer Basics online course to all pre-licensure students enrolled full-time in a nursing program. NSNA members that join ONS will also receive a one-time only 25% discount off the purchase of any book from our bookstore with code NSNA17. For more information, click below. The Preventive Cardiovascular Nurses Association (PCNA) is the leading nursing organization dedicated to preventing and managing cardiovascular disease. The current state of health care demands that nurses and advanced practice nurses play a leading role in identifying and implementing cardiovascular risk reduction and management strategies. PCNA is committed to supporting nurses so they may successfully rise to this challenge. Print copies of patient education tools that extend the value of the clinical encounter, like our heart failure or blood pressure fact sheets. Access to our robust library of online CE courses. A subscription to the Journal of Cardiovascular Nursing, the leading professional journal for cardiovascular nurses. Discounts on live and on-demand education to inform your practice, including timely webinars and our Annual Cardiovascular Nursing Symposium. NSNA members are invited to join PCNA at a discounted rate of $55 per year.